Alfredo led the group in the Four-Way Test. 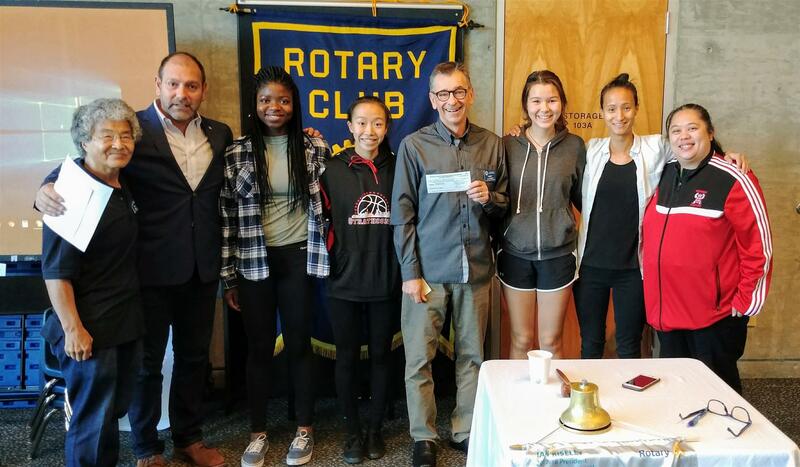 Today we had 12 members present as well as four guests from the Strathcona Community Centre: Coach Mitra Tshan and players Devon Wong, Lucy Guan, Surprise Munie. "In honour of our guests today this is my Rotary Moment and the reason I joined this Club. Strathcona is a little Community Center that does big things serving our Countries oldest and poorest community. 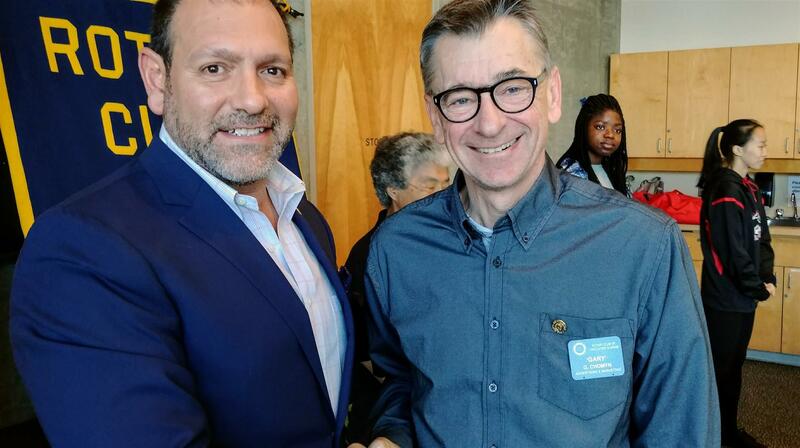 In 2003 I met Rotarian Robert French who invited me to speak at an upcoming Breakfast Meeting. My presentation included needed support for the Center's Downstairs Kitchen Renovation and our expanding Basketball Program. In 2004 the Rotary helped the Center raise 5,000.00 for a kitchen renovation in 2005 Rotary raised funds to purchase and install a Basketball Score Clock 2006- we now have the Rotary Hoopathon which as of 2016 raised over $225,000.00 for Basketball and Youth Leadership Programs. When I retired I was told to surround myself with good people who do good things and this is why I joined the Rotary!" We have a very important AGM meeting next week. We need 2/3 of the members to be present. Please do your best to attend. Today we presented the Strathcona Community Centre with a cheque for $11,500. These were funds raised on the Hoppathon. Our club was very proud to present Gary Chomyn with a Paul Harris for his hard work on making the Hoopathon a success! She holds 3 degrees, Psychology, Law and Business Management. She currently works as an Executive Assistant and corporate development with a mining company. Oct 4 - Raymond Greenwood, Mr. Fireworks.